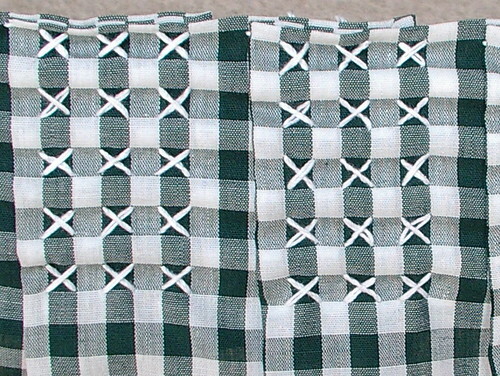 I have drafted paper patterns for most of the aprons from GGH. I have about 4 more to go out of the 30 + aprons. 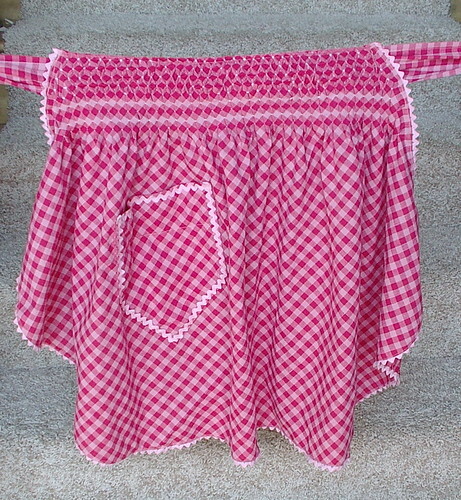 A few of the aprons have chicken scratch or smocking on gingham which makes them a little tough to write a pattern for. But having the original in front of me, I can do something fairly similar just by counting stitches and reproducing that as I go, or measuring, in the case of the smocked one. 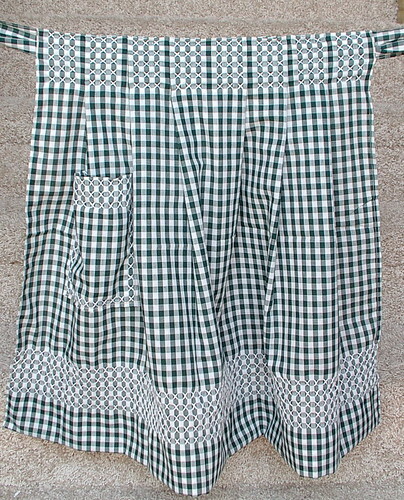 These are not exact replicas of the old ones GGH had because I wanted bigger pockets and the gingham is not the exact size as the originals. This is because I was using gingham I already had on hand. 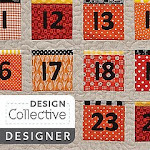 Which is fine with me since I only planned on making one of each of these type so I could have the pattern on hand when the aprons are gone. 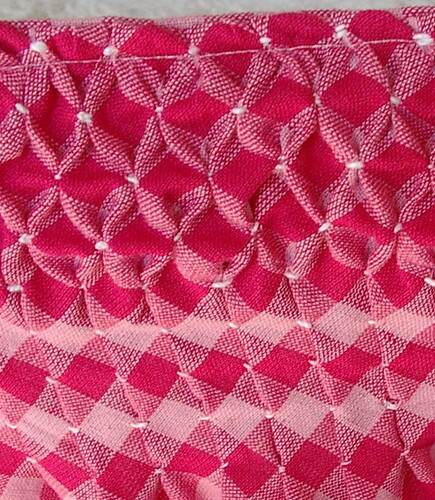 I have never done chicken scratch before, nor have I smocked gingham, but I have done normal smocking before. So I figured I could do this easily enough. This pink apron you have seen the original of already; it was black and posted on day 7. Some day I will own a dress form or mannequin or something so I can take pictures of clothes easily; 'till then, oh well. This next apron I have not posted the original yet, so this is sort of a sneak peek at a future apron of GGH. 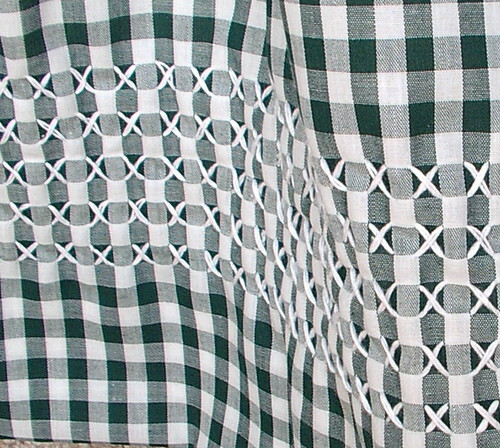 The original was black and the same gingham as day 7. But this one had chicken scratch embroidery. Chicken scratch is actually very easy. As talented as you are, I know you will have no trouble with it. 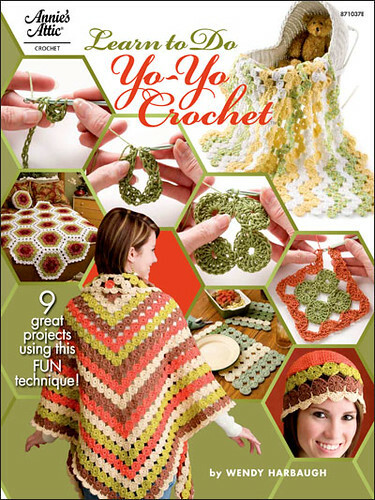 I wish I knew how to smock - it is on my "to learn" list. 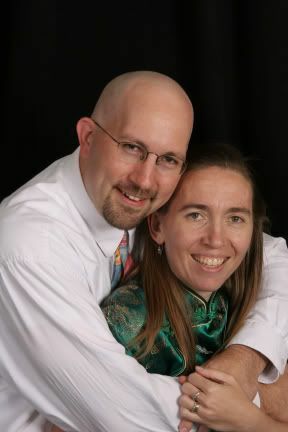 I hope you and your family are doing okay as I know this is a difficult time for all of you. Annemarie these are the reproductions. Smocking isn't hard. Chicken scratch in most cases is just cross stitch in a few it incorporated tenerrife lace which I do as well but there is none of that in GGh's aprons. These two I get to keep and have already used to make a cake today for my middle daughters birthday.